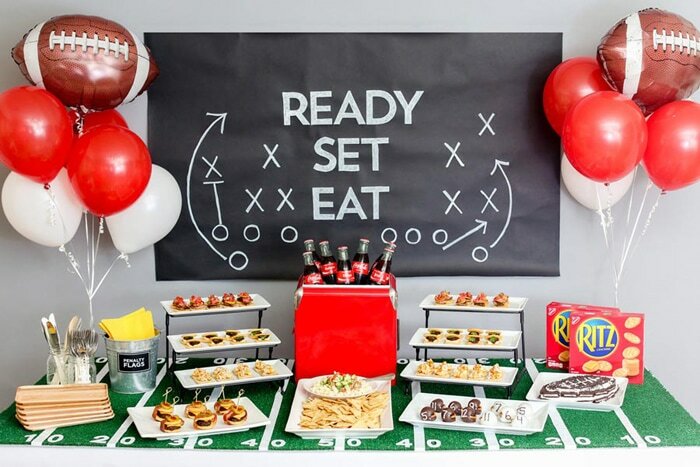 Wow your friends with the best game day party with these tips for How to Throw a Touchdown of a Game Day Party, brought to you by EVITE® and Coca-Cola® and NABISCO. Logan is football obsessed these days. He has been begging me to throw some kind of Game Day party. We keep talking about it and I say that it sounds fun and that I’ll think about it. I admit, I’m a little out of my element there. I love to entertain. I love food. But throwing a Game Day party isn’t something, like hosting Thanksgiving, that I’ve done countless times. 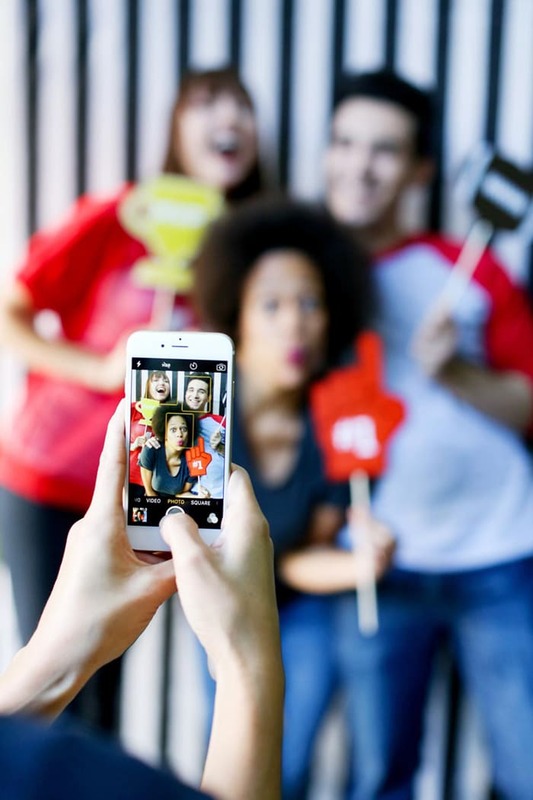 That’s why I always love reading about tips for How to Throw a Touchdown of a Game Day Party from EVITE. With all the tips they share I feel a little bit more comfortable with the idea of putting one of these parties together. 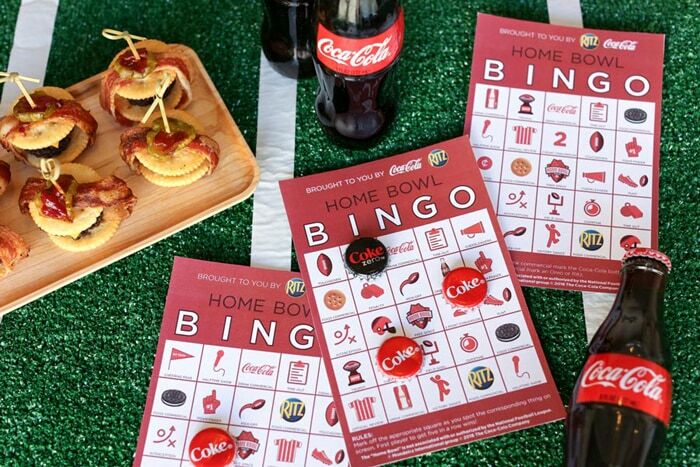 I can think of plenty of friends who would have fun with this free printable Home Bowl Bingo cards. While the game is on, guests can play a round or two of bingo. Bottle caps work great for marking off squares on their boards as the follow along with the game. Or, for a football amateur like me, this printable game day survival guide is perfect for following along with. I like the idea of setting up a photo area of guests to goof around with props and take pictures of themselves during the commercial break. Kids and adults would both get a kick out of that! As someone who loves cooking for friends and family during social gatherings, I love EVITE’s suggestions for Game Day Food and Drinks! Want to serve something different from the traditional Buffalo Chicken Wings? 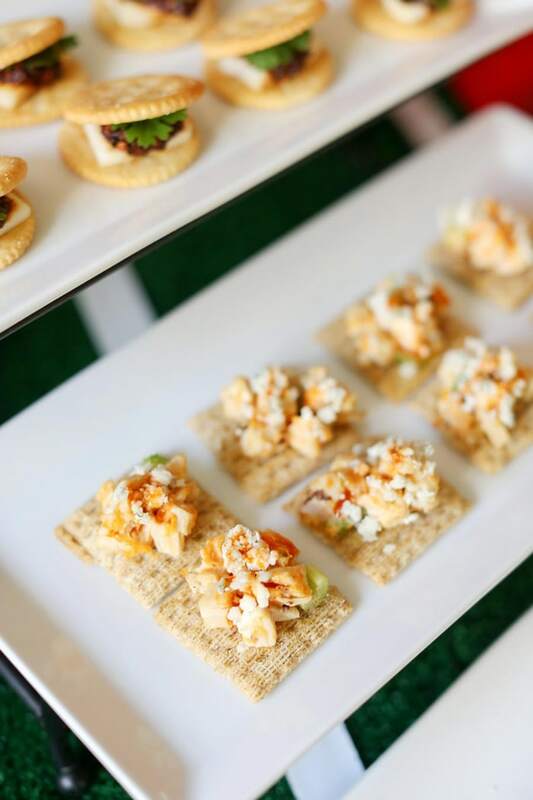 Try this recipe for Buffalo Chicken Salad Topper served on top of TRISCUIT Crackers. That sounds perfect when you take into account that a bunch of 10 year old boys might be hanging around! Way less mess than the traditional Buffalo Chicken Wings. 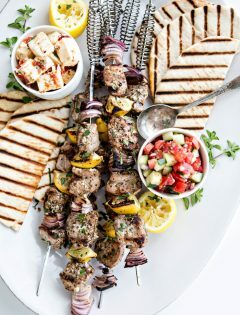 I also like the idea of giving the classic chips and dip a fun makeover by serving a savory Greek yogurt Chicken Shawarma Dip with WHEAT THINS Toasted Pita Original Oven Baked Crackers. My kids would love to help make (and eat!) 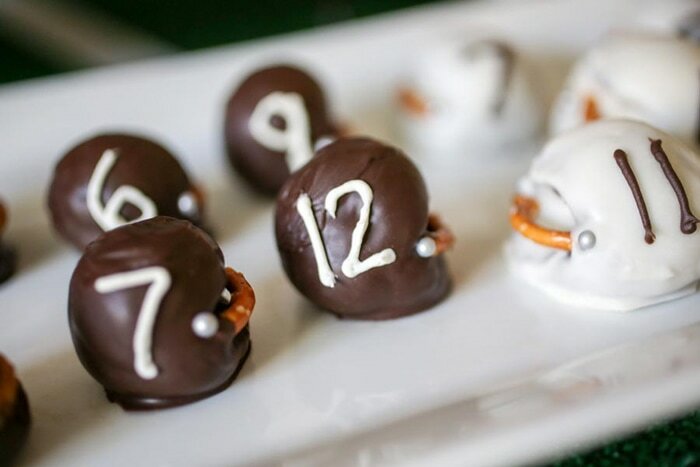 these no-bake OREO Cookie Ball Football Helmets – I like that they only take 4 ingredients (cream cheese, OREO Cookies, melted baking chocolate, and pretzel twists). You can customize them with the numbers of your favorite players for extra fun. Of course you can’t have a Game Day Party without something cold to drink. EVITE has great tips for keeping your drinks station fully stocked for thirsty fans. They suggest offering glass bottles of Coca-Cola® along with mini cans of Coca-Cola® and Coca-Cola Zero™. You can offer these fun football-themed mason jar DIY for anyone who wants to add ice to their drink. 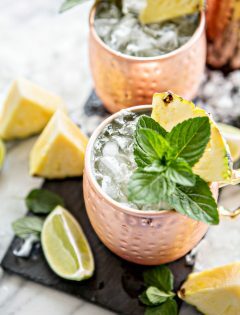 Head over to EVITE to learn how to make them and check out their free printable yard-line drink flags while you’re at it. Drinks, like personalized Share a Coke bottles (available atShareacoke.com), would make a great hostess gift. EVITE, of course, has some great free invitations for your next Homegating Party. 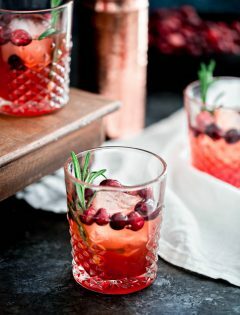 Check out this free EVITE invitation or browse the Home Bowl Collection for more suggestions. 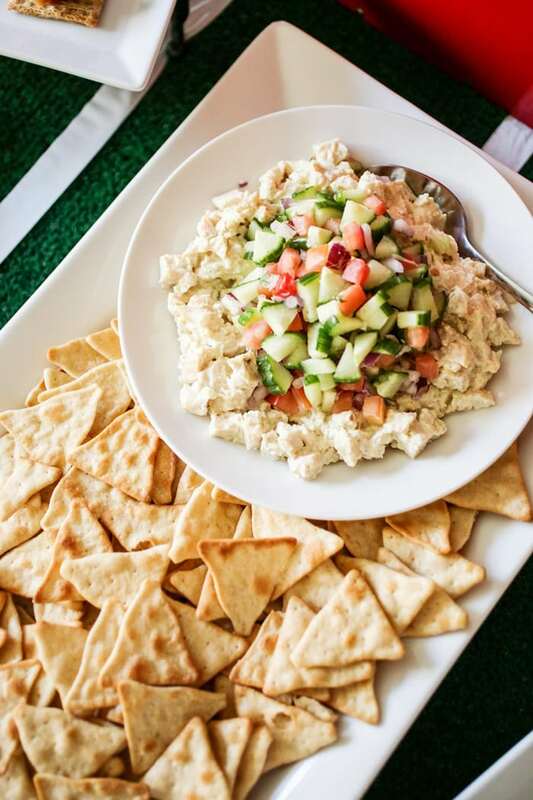 For more Game Day Party Tips and great photos, head over to EVITE and check out their how-to! 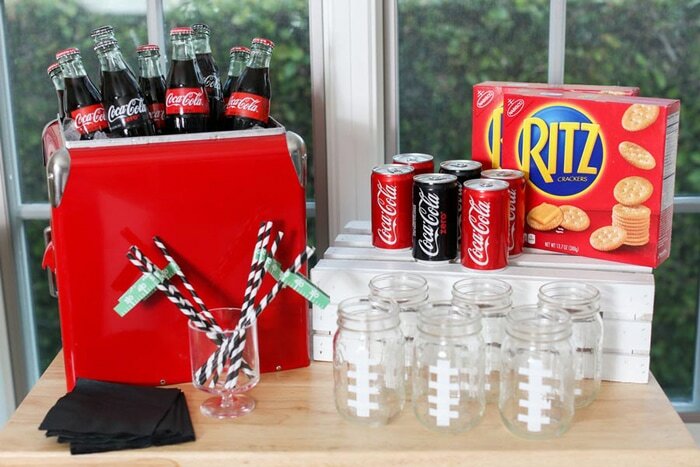 What are your best tips for throwing a Touchdown of a Game Day Party? Disclosure: This is a sponsored post on behalf of EVITE in collaboration with Coca-Cola® and NABISCO. All opinions are 100% my own. The “Home Bowl” is not associated with or authorized by the National Football League. 1890717 ME. (C) “Coca-Cola” is a registered trademark of The Coca-Cola Company. (C) Mondelez International group.